Doctors use invasive procedures to map the hearts of patients suffering from atrial fibrillation, an abnormal heart rhythm, to decide whether an ablation procedure to remove heart tissue is likely to have a positive outcome. Computed tomography (CT) scans or ultrasounds are useful in determining the structure of a patient's heart, but invasive electrical procedures are used to identify and localize the source of the atrial fibrillation. A group of researchers from the University of California, Santa Barbara developed new algorithms to localize the source of an atrial fibrillation. They report their findings in the journal APL Bioengineering. "Electrical sources in your heart produce signals that permeate through your cardiac and body tissue to produce body-surface signals that we measure as [an ECG, or electrocardiogram], said UC Santa Barbara graduate student Abhejit Rajagopal, an author on the paper. "Using these signals, we can try to reconstruct what's going on inside your heart," Rajagopal said. "This is typically done by assuming a model for the propagation of signals from your heart to the surface and inverting it. The 'inverted' model is known as an inverse operator. Typically, if the forward model is linear so is the inverse operator." 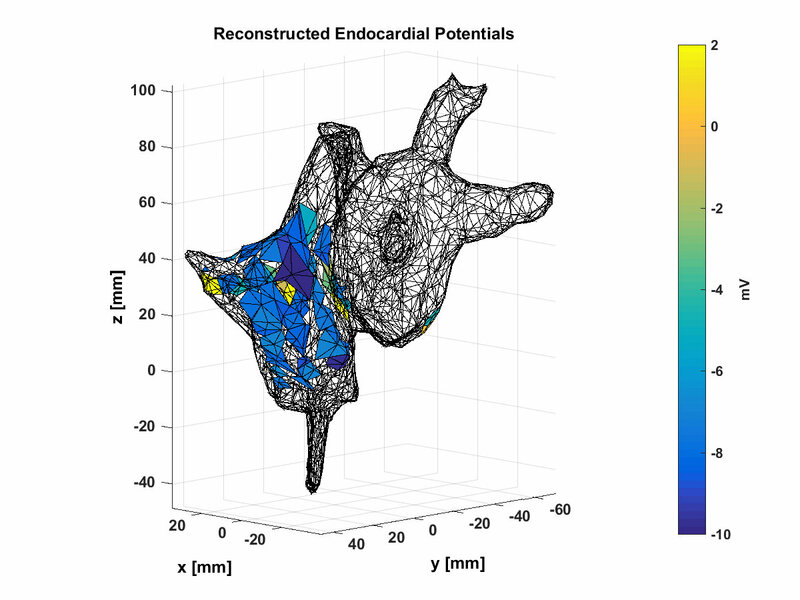 The main concept underlying the UC Santa Barbara group's work is that the inverse operator, in this case a function that maps body-surface electrocardiogram signals to endocardial potentials, can be nonlinear and optimized using a set of historical data.